They are high school sweethearts. She has style to boot and is absolutely stunning, as you will see. You will also see that he knows how to make her laugh and she him. 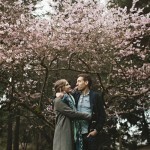 We’re eager for their May wedding in Cle Elum!